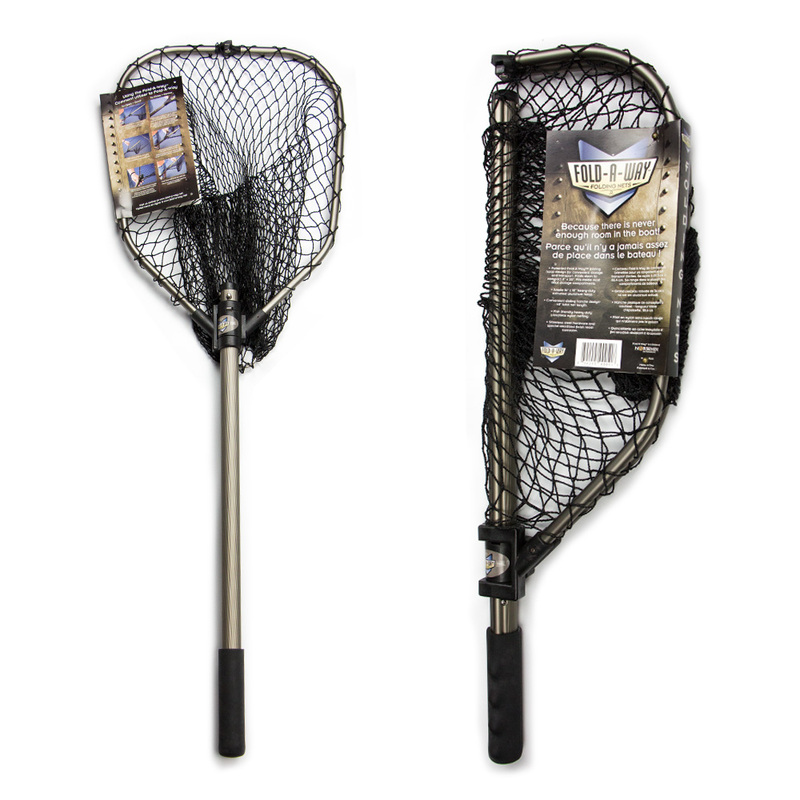 Fold-A-Way™ landing nets represent one of the greatest values ever in landing net design. Each Fold-A-Way™ net features our patented folding hoop design. Fold-A-Way™ nets offer a true performance upgrade and major value alternative versus traditional fixed-hoop net designs. Want to see Fold-A-Way™ Landing Nets in action? Take a look at our video clips. Fold-A-Way™ landing nets are fully collapsible for easy storage. And their minimal weight and engineered strength make them the perfect choice whether you’re salmon fishing in Alaska, charter fishing for trophies or bass fishing on your local pond. Just get it to the boat; we’ll take care of the rest. Norsemen Outdoors, Inc.’s Fold-A-Way™ landing nets represent one of the greatest values ever in landing net design. Each Fold-A-Way™ net features the patented Fold-A-Way™ folding hoop design. Designed for those anglers wanting the convenience of a folding net at a value price. Fold-A-Way™ nets offer a true performance upgrade and major value alternative versus traditional fixed hoop net designs. Make more room in your boat with a Fold-A-Way™. Patented Fold-A-Way™ folding hoop design for convenient storage and transport. Nets fit inside most boat storage compartments. Fish-friendly, heavy-duty knotless nylon netting. Heavy-duty hardware and special anodized finish resist corrosion.